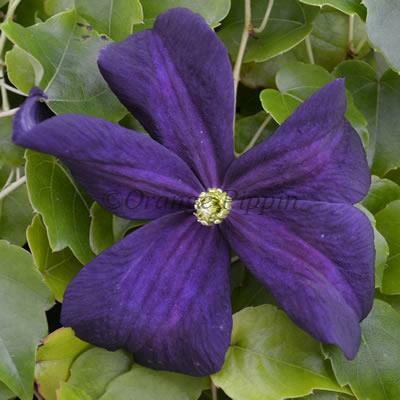 Clematis 'Romantika' is wonderful variety with unusual, very dark purple flowers and contrasting yellow centres all summer long from June to September. This non-evergreen climber would look particularly stunning planted against a light background, such as a fence, wall, trained up a pergola, archway or it can be grown in a container on the patio. Clematis 'Romantika' was raised by Uno Kivistik of Harjumaa, Estonia.